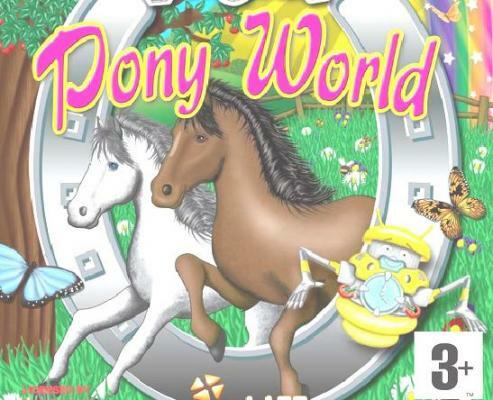 Clever Kids Pony World Visit Pony World stables, and solve Pony puzzles! For Kids. 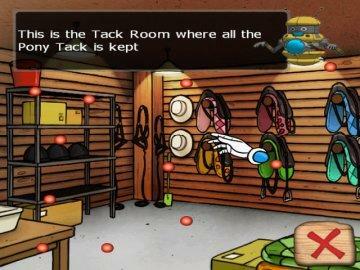 Visit Pony World stables, and solve Pony puzzles! For Kids. 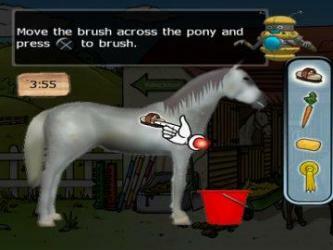 Clever Kids: Pony World brings the magic of the stable yard to life and puts you in charge of all most mischievous, energetic and best-loved breeds in the world. Targeted at the 6-10 age group Clever Kids has the explicit aim of encouraging youngsters to learn through interaction and exploration of some of their favourite subjects. Clever Kids games encourage logical reasoning, improves memory functions, develops dexterity and increases attention span – all the time maintaining the players interest in a subject and making them laugh as they learn! Pony World Stables – visit where all the ponies live, have a look around and discover amazing facts about your favorite breeds and their environment. 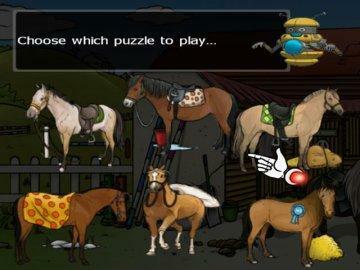 Pony Puzzles – put the shapes in the right place to build a pony and unlock features and games. Sounds simple but you’ll have to twist and turn to get it right! Target Range – Go against the clock and solve the pony mathematics questions. Will the Dales, New Forest or another pony have the right answer for you? Pony fact file - learn everything you could want to know about your favorite ponies – what they look like, how they behave and what they’re good at, as well as how to care for them and feed them – literally hundreds of facts about ponies. Find the difference, Pony grooming, Pony Quiz and Sliding Puzzles as well!